A new UCLA study finds that 27 percent, or 796,000, of California's youth, ages 12 to 17, report they are viewed by others as gender nonconforming at school. "The data show that more than one in four California youth express their gender in ways that go against the dominant stereotypes," said lead author Bianca D.M. Wilson, the Rabbi Barbara Zacky Senior Scholar of Public Policy at the Williams Institute. "However, the heightened psychological distress we see among gender nonconforming youth indicates that we must continue to educate parents, schools and communities on the mental health needs of these young people and reduce known risk factors, such as bullying and bias." Gender nonconforming refers to people whose behaviors and appearance defy the dominant cultural and societal stereotypes of their gender. The health interview survey measured gender expression by asking adolescents how they thought people at school viewed their physical expressions of femininity and masculinity. Youth who reported that people at school saw them as equally masculine and feminine were categorized as "androgynous." Girls who thought they were seen as mostly or very masculine and boys who thought they were seen as mostly or very feminine were categorized as "highly gender nonconforming." 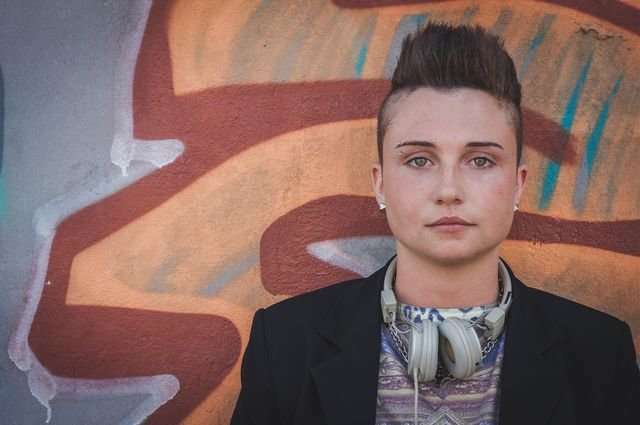 27 percent, or 796,000, of California's youth, ages 12 to 17, report they are viewed by others as gender nonconforming at school, including 6.2 percent who are highly gender nonconforming and 20.8 percent who are androgynous. Highly gender nonconforming, androgynous and gender conforming youth do not statistically differ in rates of lifetime suicidal thoughts and suicide attempts. As a group, both highly gender nonconforming and androgynous youth reported higher levels of psychological distress compared to their gender-conforming peers. The finding that gender nonconforming youth in California do not have higher rates of suicide differs from the findings of some previous research. The study co-authors suggest that the variation in findings may be due to sample-size limitations of this study or possibly to the state's supportive policies for gender nonconforming people. California is one of several states that expressly prohibit bullying and discrimination against gender nonconforming people in schools and public accommodations, among other arenas. "It's possible California's policy environment has made it safer for adolescents to be gender nonconforming," said Tara Becker, a co-author and statistician for the health survey, which is conducted by the UCLA Center for Health Policy Research. "But given events at the national level, we should by no means relax our stance. California can and should strive to be an ongoing model of acceptance and inclusion."